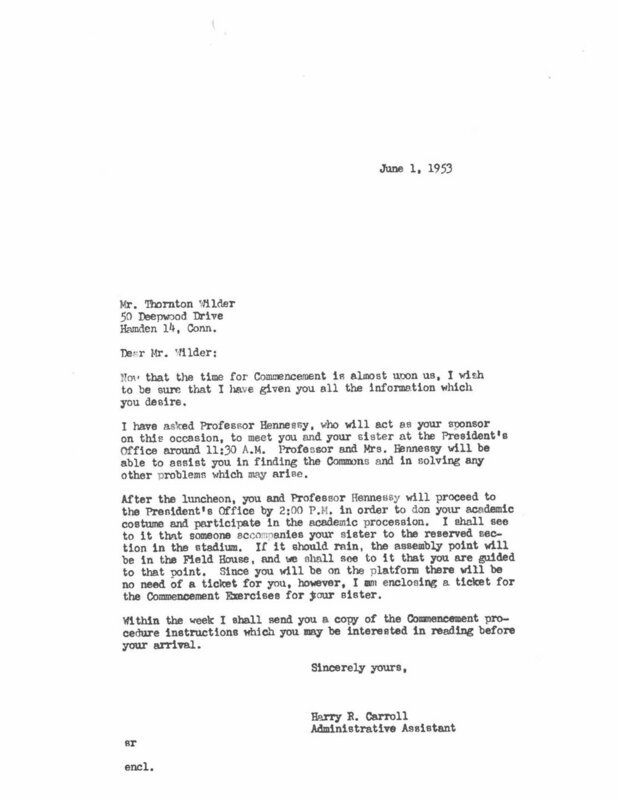 65 years ago today, on June 7, 1953, the University of New Hampshire presented Thornton Niven Wilder, “scholar, philosopher, distinguished leader of American letters, and warm friend of New Hampshire” with the honorary degree of Doctor of Literature. Thornton Wilder had a deep connection to Peterborough, where he worked on an array of projects during nine residences at MacDowell Colony between 1924 and 1953. Here, in addition to his fabled labors on the creation of Our Town, he wrote parts of The Bridge of San Luis Rey and launched The Skin of Our Teeth. We also know from his records that at MacDowell at 2:00 am on August 9, 1930, he began writing his celebrated one-act play The Long Christmas Dinner. In 1960 he received the inaugural Edward MacDowell Medal. 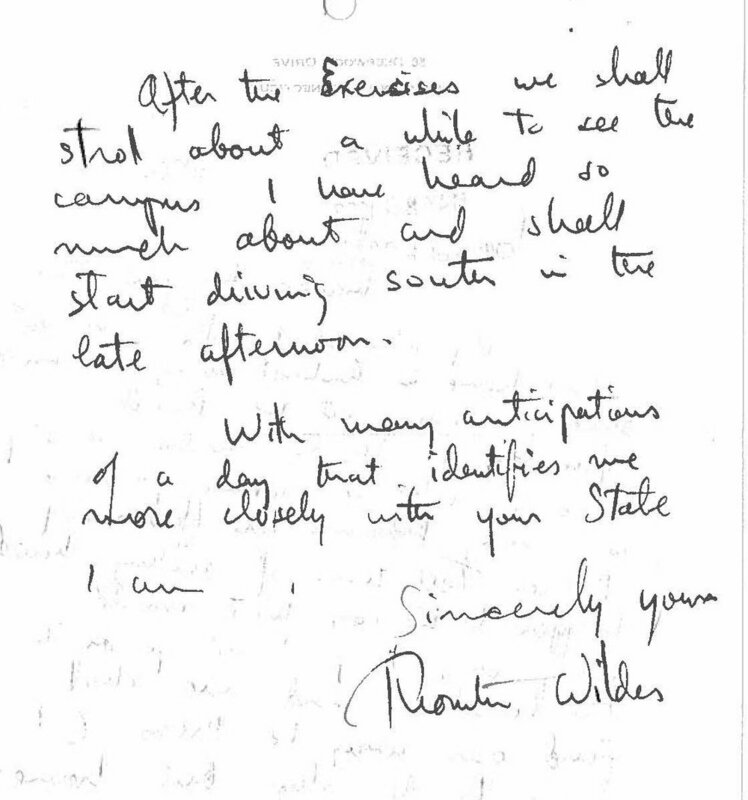 "with many anticipations of a day that identifies me more closely with your state I am Sincerely your Thornton Wilder "
As we head towards Peterborough for the Third International Thornton Wilder Conference July 12-15, we share with you these letters, along with Thornton Wilder’s introduction and presentation of the doctorate, conferred by the president of The University of New Hampshire.